70% against the copy of B/L Customize All the products can be done according to your requirments Suzhou Wantex Garment Co. ,Ltd Our Product Certified: Our factory: Certificates: Contact information Contact person : Sunny Meng Company name: Suzhou Wantex Garment Co. , Ltd Office Add: Room 502,building 123 double Win international financial city ,No. anti shrink, anti static, flame retardent. 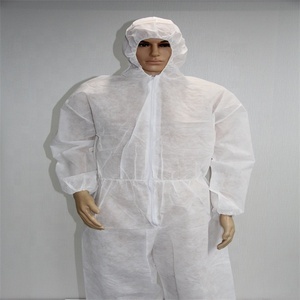 poly cotton safety coverall used for industrial workwear art no. We are in position to accept orders against customers red coverall samples specifying design, fabric and specifications requirements . We will help you at the best as we can if you have any problems and another requires, please do not hesitate to contact me! We are well known workwear and protective clothes factory in China,we export to over 40 countries all over the world. 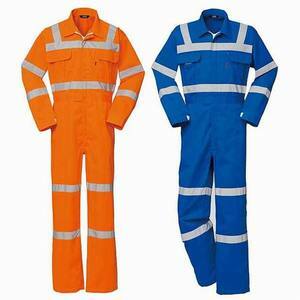 These comfortable coveralls are manufactured from a durable SMS fabric and feature bound seams. Q: Can I get any discount9 A: The price is negotiable, we can offer you discount according to your order quantity. Q: What about lead time for mass production 9 A: Honestly, it depends on the order quantity and the season you place order. two chest pockets with button flap, use match color fr thread double sewing line, and can stitch the logo on the flap according to the request of customer. use match color thread double sewing line, reinforced stitching at stress points for extra durability. 4. Customer make the payment for deposit and send us Bank receipt. 2.Aquiling Production: We have basic fabric and accessories in stock. 3.Inspection: We have strict inspection personnel and process. order process scan our qr code!! available drotex &reg; functional fabrics are finished through a series of production flow including spinning,weaving,pre-treatment,dyeing,after-finishing. 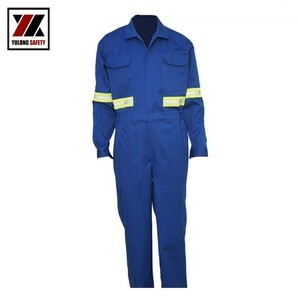 product style coverall uniform material cotton polyester,spandex,tc and so on. we really hope you can purchase exactly what you're looking for ! 2. We have strictly QC department, our worker and sales check your items carefully before sent out. 2. After receive your deposit, we will ask the factory arrange your products asap for you can get them in time. 1 ) How to get a sample and save the cost9 W e can offer you the free sample, you just need to pay freight cost . Material features : 1. 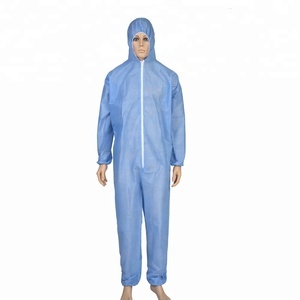 PP disposable coverall It is made from hydrophobic polypropylene material,Latex-free;abrasion-resistant; low lint;with a high level of fluid repellency. 2. 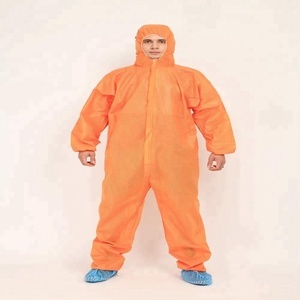 PP+PE disposable coverall It is made from PP+PE material,Latex-free; abrasion-resistant;completely impervious fluid and alcohol repellent. Available color: white Material weight :45-65gsm. What is your terms of payment9 T/T 30% as deposit and 70% before delivery. How about your delivery time9 Generally,it takes 3 to 5 working days to get shipment ready. 2.We repect every customer as close partener and friends wherever they came from. Specifications 1.We are professional garment manufacturer 2.High quality guran 3.Quick response ITEM: coverall Fabric: polyester/cotton twill Weight :170-280 g/s. We specialized in producing : casual pants,cargo pants, bibpants, boilersuits/overall,uniform, chef's suits, medical suits, labcoats,jackets, aprons,pyjamas etc. Speicialfunction for fabrics is also can be provided : like waterproof, oil resistance, flame resistance, antistatic, acid-alkali-resistance ,reflected and fluor ,etc. and we will charge samples fee, if we sign the contract, we will refound the samples fee. C) Is the price negotiable9 Yes, the price is negotiable. And the prices also have great relationship with the order quantity and material. Our high quality products and good reputation bring us the trust and support from our customers and cooperators. The company sticks to Human Orientation, Talent Respecting, Chance Creating and builds blueprint for human resources. We sincerely hope to establish closer cooperation and more brilliant future together with all our domestic and foreign friends. 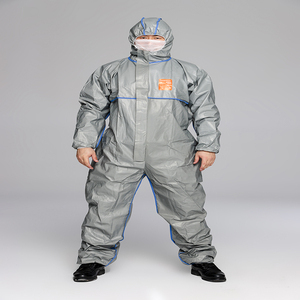 Alibaba.com offers 1,429 used coveralls products. About 57% of these are safety clothing, 12% are other uniforms, and 1% are reflective safety clothing. 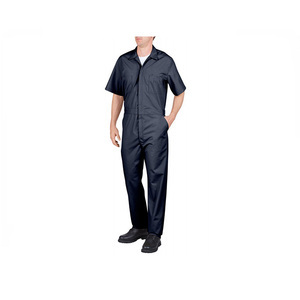 A wide variety of used coveralls options are available to you, such as free samples, paid samples. There are 1,429 used coveralls suppliers, mainly located in Asia. The top supplying country is China (Mainland), which supply 100% of used coveralls respectively. 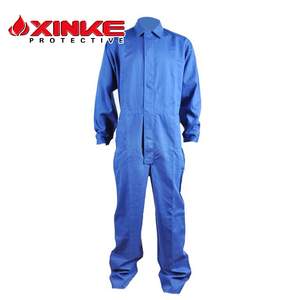 Used coveralls products are most popular in North America, Domestic Market, and South America. You can ensure product safety by selecting from certified suppliers, including 520 with Other, 144 with ISO9001, and 58 with ISO13485 certification.